We manufacture a wide range of Conical Springs that are manufactured using qualitative material sourced from reliable vendors. These industrial springs have received huge accolades for their excellent features. 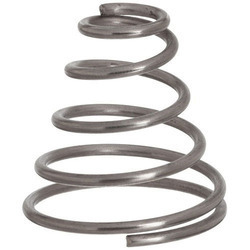 We offer an extensive range of Industrial Conical Spring that are known for their flexibility. 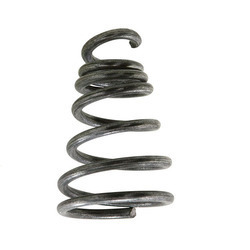 Made from high grade steel, these springs perform well in different environments. Highly appreciated for various features, the range can also be customized as required by client. Our range is widely used in various industries such as automobile industry and electrical devices manufacturing industry. 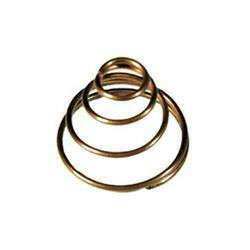 We are one of the leading manufacturers and suppliers of a optimum quality range of Customized Conical Springs. We provide customers with Customized Conical Springs in different size and dimensions. These products are manufactured using quality material, which is sourced from the reliable vendors. With the help of our experienced engineers, we have been able to design and develop Conical Compression Spring. They offer the advantage of a reduced solid height compared to straight compression spring. The best part of these springs is definitely it's trouble free performance and excellence elastic property. We have a wide variety of these specialty Automotive Conical Springs that are capable of resisting compressive loadings. 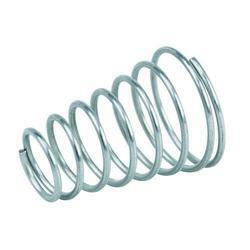 Made from high grade steel, these springs perform well in different environments. Automotive Torsion Springs are designed and wound to enable them rotation and offer a return force.